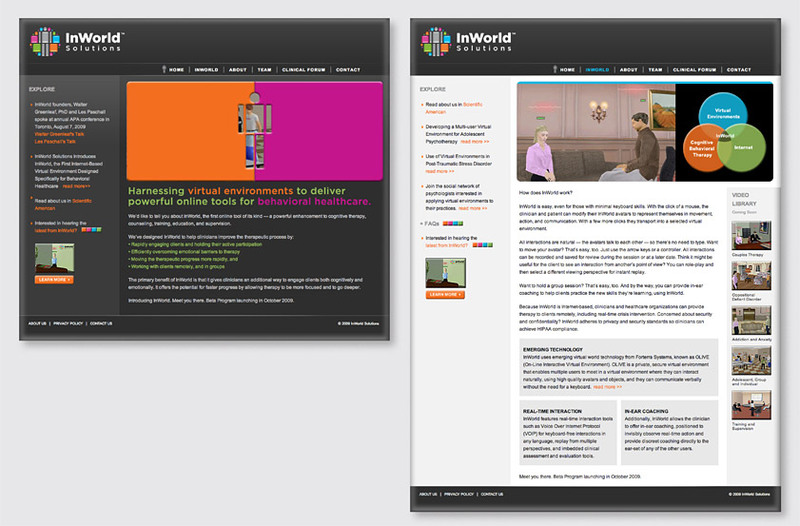 InWorld Solutions delivers the world’s first online virtual environment designed specifically for cognitive behavioral healthcare. Our solution incorporates an avatar icon on the homepage to symbolize a gateway into the world of virtual environments and provide an engaging device for viewer interaction. Upon clicking on the image, the doors slide open to enable the viewer to experience the full range of applications for the innovative technology through a series of typical environments. Each page contains core information in the main column, while frequently updated news, articles, and links are accessible in the sidebar. The header image of each section features a different virtual environment to display the types of individual experiences, one-on-one counseling, or group therapy the technology provides. 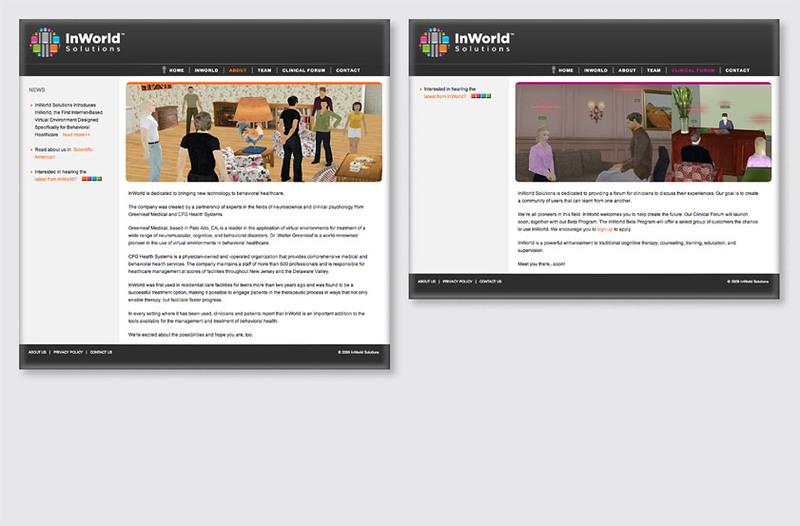 Each section is differentiated by its own color in the navigation and horizontal bar across each corresponding image.